As they say, water is life. However, in today’s modern world, too much water is more of a hassle than anything, especially if it is where it’s not supposed to be. Nonetheless, with the globe covered in so much of the stuff, it’s only natural that it would get into places that are a problem from time to time. When that happens, you can either lament the fact that you have flooding where you shouldn’t, or you could get a best water pump and get rid of the water quickly and safely. So, with that in mind, we are going to look at water pumps that can be used for a variety of purposes. Whether you need to drain a pool or remove standing water from your home, these pumps can come in handy during times of need. Not only will we show you some of the best home water pumps on the market, but we will go over the most important features you should be paying attention to when making a final decision. At first glance, you may think that this model and the one above are the same, but the fact is that while they share a lot of identical features, this one is a bit smaller and more compact than the other. That means that if you want the same level of power and performance but don’t have enough room for the E65 Model, you can choose this one instead. 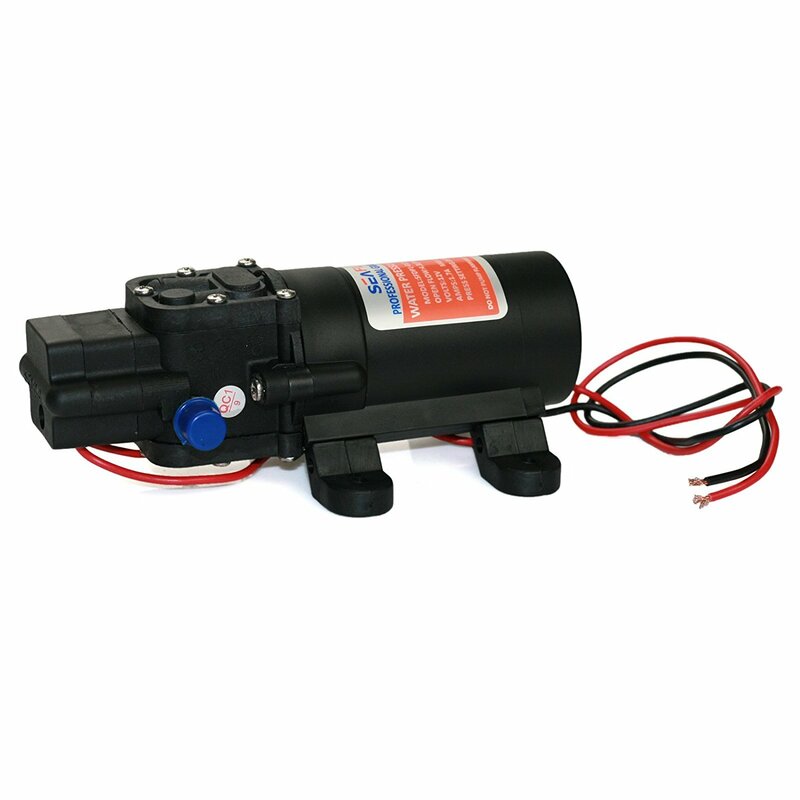 Overall, this pump has the same level of reliability as the one above. It has durable metal construction, an easy-to-install mounting bracket, and a powerful 12 VDC motor. The flow rate and pressure valves are the same, delivering three gallons per minute at up to 55 PSI. It will activate at 25 PSI and shut off at the peak pressure level so as to avoid overloading the system. You can also run this pump dry without risking any damage either. As we mentioned, the main difference between the two is that this one is more compact, so choose accordingly. While most RV pumps are great on land, what happens if you need water on the water? Not all models are “marine certified,” which means that they may rust or break down when exposed to saltwater conditions. This unit from Seaflo, however, is certified to be out on the ocean, so you can install it without worrying about rust or corrosion. Best of all, it still delivers great results, especially for its size. it starts and stops automatically (on demand) and has a thermal protector to prevent damage if you run it dry. Overall, as long as you aren’t putting excessive pressure on the device it should last you for a long time out on the water or land. Next, we have a durable and robust pump from Water Diaphragm. What sets this one apart from the rest is that it is certified to be used in food preparation or medical practices, meaning that you get cleaner and fresher water with this pump than you would with any other. than most other pumps, so that is still something to consider. Other features include a thermal protector so you can run it dry without damage, a flow rate of 2.8 gallons per minute, and one of the quietest motors you can find. Overall, this is a fantastic pump. Also, it comes with a remarkable four-year warranty. Ending our list is yet another model from Shurflo. While the other ones we’ve seen are perfect for most applications, the 2088 unit is designed for larger RVs that need a higher flow rate. Unlike the 4008 models, this pump delivers up to 3.5 gallons per minute, making it an ideal choice for big rigs that need more water. 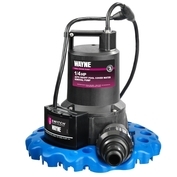 robust 12 VDC motor, a built-in check valve to prevent accidental reversal, and a thermal protector to keep it running smoothly even while dry. Finally, it comes with a one-year limited warranty. Our first stop is with a pump from Wayne. This company is well known for making high-quality pumps, and we will see that name several times on this list. The PC2 Pump is designed for multi-purpose draining, meaning that you can use it to remove flood water or drain a pool easily. The only primary thing to remember is that this model is not submersible, so don’t try it. Overall, this unit is designed for casual water removal, which is why the flow rate is only 300 gallons per hour. This means that we would not recommend it for heavy flooded areas, but instead for small items like fish tanks or bathtubs and such. As long as you don’t have to move water as rapidly as possible, this model will work just fine. The motor and housing are made of durable stainless steel components, and the hose is also treated to prevent fraying or damage over time. In the end, this pump is well built and does the job admirably, even if it’s not designed for heavy use. If you have a pool, then you know how troublesome it can be when water collects on top of the cover. Usually, this water is dirty and has debris in it, which means that if it gets into the pool water, it will be a mess that you have to clean up. Thus, if you want to stay proactive about it, you can get this water pump from Wayne. The WAPC250 is designed mostly for pool covers, but it’s automatic on/off switch, and low suction rating makes it ideal for any kind of hands-off pumping jobs. The best part about this unit is the smart iSwitch system which automatically detects water and turns on or off depending on the level. If the water line is over 2 ⅛ inches, the machine will activate. Only when the water is back down to ¾ inches will it turn back off. Another great feature is the fact that this unit is fully submersible, which makes sense because it is built to sit on pools. To keep it stable, it comes with a plastic strainer base that ensures the whole thing doesn’t tip over as well as filters out debris, so it doesn’t clog the machine. Finally, the flow rate of this pump is 3000 gallons per hour, making it ideal for many different pumping needs. If you’ve ever been out in the hot sun, then you know how important it is to stay hydrated and cool. 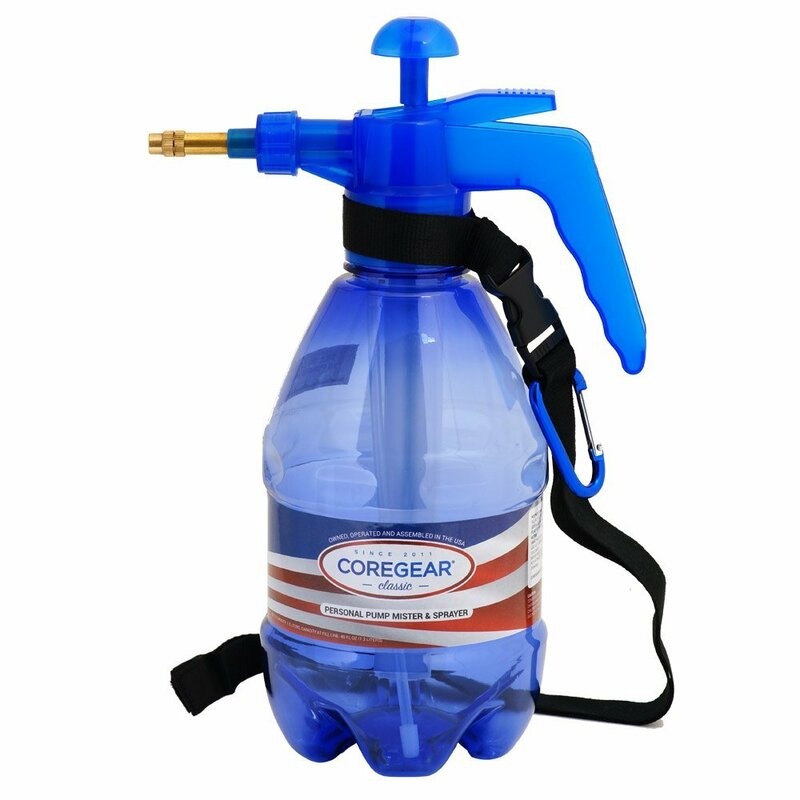 To help you in that regard we have the CoreGear Classic Personal Water Pump. This device is designed to help you avoid overheating by providing a container from which you can spray yourself with a fine mist. IN fact, it works so well that you can reduce the ambient temperature by up to thirty degrees Fahrenheit. to wash your pets or your car, or even fill water balloons quickly. The possibilities are endless. The only downside is that it can be a lot of work to pump the water out manually, so don’t expect it to be a walk in the park. As we’ve seen so far, Water Pump are fantastic for when you have to remove water from a place where it shouldn’t be. However, these machines are also adept at moving water through a mobile plumbing system, such as in an RV or motor home. 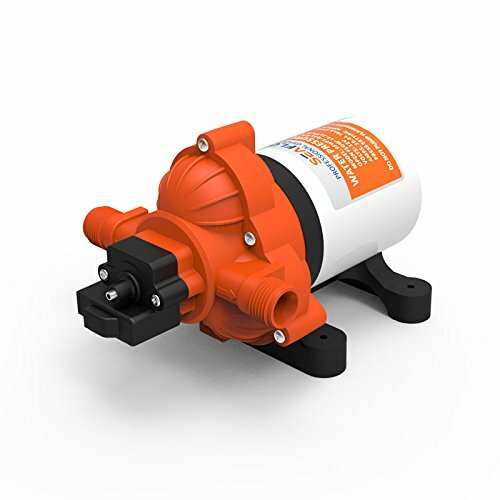 In this case, we have the Shurflo Revolution Water Pump, which is designed to replace your current pump with something more robust and reliable. water supply too quickly. Mounting the pump is also super easy and can be done in minutes, provided that you have all of the necessary hoses and hookups. Unfortunately, this particular model is simply a replacement, meaning that it doesn’t come with hoses, only a mounting bracket and some connectors. Overall, this is a decent unit that can provide ideal water pressure for your RV. We started with a Wayne Water Pump, and we are going to finish with one as well. 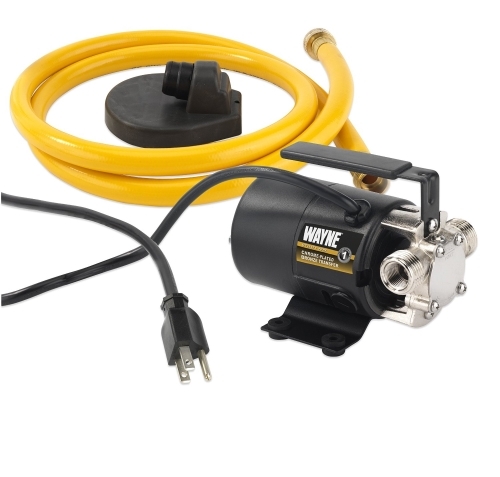 The EEAUP250 Removal Pump is something of a cross between the other two units we’ve seen from Wayne, meaning that it has the automatic capabilities of the pool cover model while being able to be utilized for multiple purposes like the first model we saw. that coupled with an automatic sensor means that you can toss this into a pool of standing water and then wait for it to drain everything on its own. Best of all, it is made with corrosion-resistant materials and reinforced thermoplastic housing, so it will last a long time. One of the most important parts of any Water Pump is the motor as it is the lifeblood of the machine. The stronger this component is, the better it will pump and the longer life it will have, so you want to get a model that has a decent sized motor on it. With that in mind, it’s important to decide whether gas or electric is the way to go. If access to an outlet is a problem, such as when you live in a rural area or if the power goes out, then having a gas model means that you can pump out water without needing to plug in anywhere. However, the downside to this is that you will have to keep gas on hand for such a situation, and they break down more easily than electric models because they have more components working together. 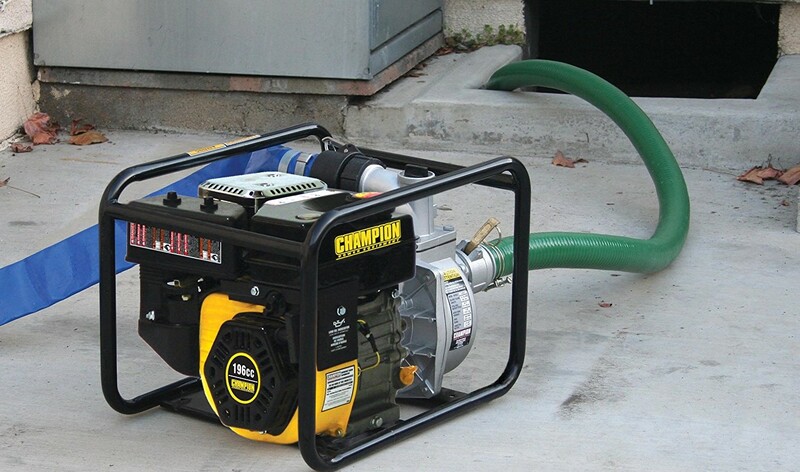 Electric water pumps can be excellent for areas that don’t have any issue with access to electricity, but that does mean that if your power goes out due to flooding or other reasons you will have to find an alternative source to use the pump. Overall, these models last longer, but they are limited to where they can operate. When looking at different water pumps, you will see several specifications on them, each of which signifies a different thing. It’s important that you understand what each part means so that you can better know which pump is right for you. This rating refers to how much water can be moved through the system, and most of the time it is by the hour rather than the minute. Higher end models may show gallons per minute, but it will be rare that you need to move so much water at once. Overall, the GPH rating will need to be high if you are planning on draining flooded areas or moving water quickly. A decent number would be 3000 gallons per hour, but some models may go as low as 300 or less, depending on your needs. This classification refers to how much water needs to be present for the pump to start working. When you’re talking about draining a basement or flooded area, it’s imperative that you get a model that has as little lift as possible so that you can drain down to the last little bit of water left. For example, having a suction lift of only ⅛-inch means that you can remove the water until a ⅛-inch layer is left. When talking about this rating, it means how high you can lift the top hose before the pump stops working. Thus, for example, if you have ten feet of lift, you can raise the hose that height while still having water flow through. One thing to keep in mind, however, is that usually the higher you keep the hose, the more it will affect the flow rate, so you won’t necessarily get the same results as if it were level with the machine. For example, a pump may have a flow rate of 3000 gallons per hour, but then it will reduce to 1800 with a lift of ten feet or so. Having a higher lift is necessary when draining something deep like a basement or pool, so make sure that you get a model with a sufficient rating so you aren’t limited in that regard. After looking through these different units, it’s unfair to compare them all on the same metrics because they are used for various purposes. 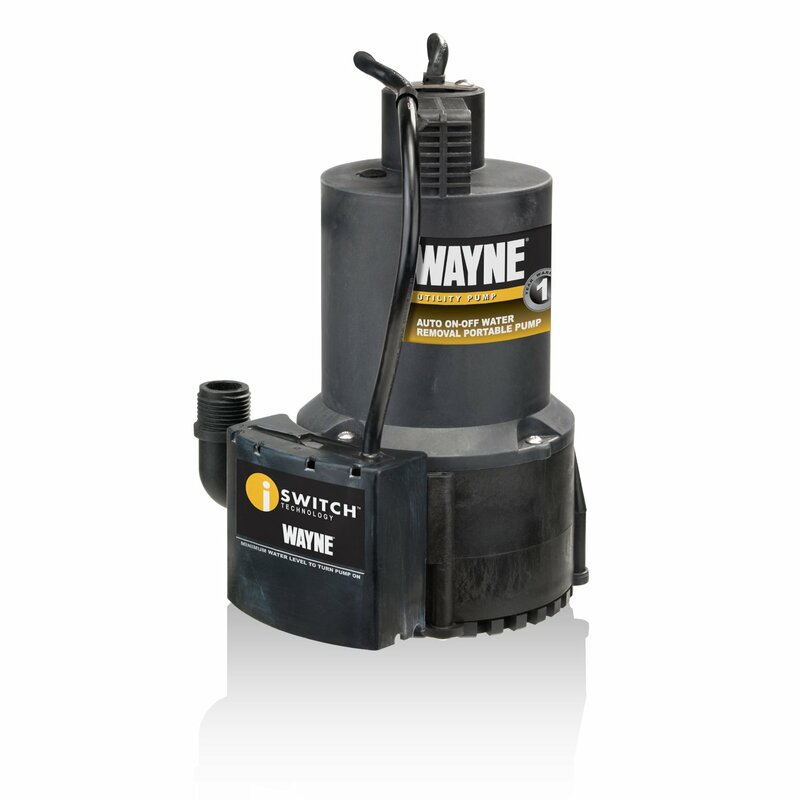 However, as far as water drainage pumps go, the Wayne EEAUP250 is probably the Best Water Pump because it has the means to get water out of your home or wherever quickly and efficiently without needing constant supervision. The other models we’ve featured all work excellently in their respective cases, whether it’s keeping cool with a manual mister or replacing your water pump on your RV. In the end, each of these models is built to last. If you’re an RV enthusiast, then you know that the best thing about traveling that way is that you have all of the basic amenities of home while you’re out on the road. As far as modern luxuries go, nothing compares to indoor plumbing, which is a wonderful thing to have in your RV. However, to ensure that you’re getting the right water pressure booster coming out of your shower or faucet you need to install the correct pump. While the one that came with your RV may do just fine, you might want to upgrade it to something a bit more robust or reliable. Similarly, if your current pump is on the fritz or needs replacing, then it’s good to know what options are out there. So, with that in mind, we are going to show you some of the RV Water Pump as well as go over the most important features and components that will help you make the right choice for your rig. When looking at various water pumps, you will see that there is a wide variety of models that can be used for different applications. Thus, before you begin your search you first have to make sure that you’re looking for a pump that is designed to be mounted and installed in an RV system. If you don’t, then you could wind up with a machine that will not work at all for your needs, and you’ll have to return it immediately. All of the models we are about to feature are ideal for RV plumbing. While other water pumps are usually measured in horsepower or amps, the size and power constraints of an RV pump means that most models are classified by volts. In most cases, they have a twelve-volt motor so that it won’t blow your rig’s fuse or electrical system. If you have a more powerful system on your RV, you may be able to get something a bit stronger, but it’s best to stick with twelve volts just to be safe. Just like RVs come in all shapes and sizes, so do the pumps that power them. Thus, it’s imperative that you look at the measurements for each device to ensure that it will fit where it needs to go. Some pumps are more compact while others have a bigger housing so as to deliver more water. As such, be sure to pick the correct model for the size of your rig. You don’t want to have to replace it before you can even install it. As far as the actual pumping goes, this is one of the most important features as it will tell you how much water you can get. Usually, RV pumps will max out at about three gallons per minute, but some larger models may go higher. Again, it’s crucial that you find the right size for your vehicle so that you don’t have to worry about blowing a fuse or running out of water too fast. If a pump has a higher flow rate than what you need, you could wind up wasting a lot of it in the long run. This isn’t usually a problem with RV pumps, but you want to make sure that the device doesn’t have to be primed before you can use it. This involves flooding the system with water so that it will pump correctly. Considering that you will be mounting this device to your RV and won’t have easy access to it, self-priming models are critical to ensure that you don’t have to work hard to get water flowing. One big issue that plagues many water pumps is that they have to have liquid flowing through at all times to prevent any damage. However, in an RV, you don’t always know when you’re about to run out of water, so you can sometimes run the pump dry. To ensure that you don’t damage your system, check to see if it has thermal protection that keeps it from breaking down when the pump runs dry. This is imperative unless you want to change your pump more regularly. Finally, since the pump will be operating in a living space, you want something that is both functional and quiet. This way you won’t disturb anyone (including yourself) every time you run the faucet or the shower. Most RV pumps are quiet, but that doesn’t mean that they all are. If you can find a decibel rating that will be your most accurate method to see how loud it is, but in general look for a “quiet” operating unit. 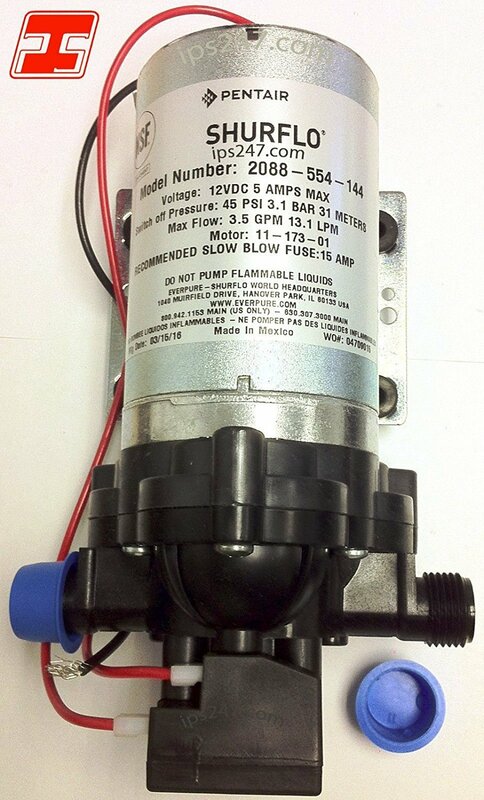 When looking through these pumps, we have to say that our top picks would be either ShurFlo 4008 model, as they have the best motors, flow rates, and durability of the ones that we’ve seen. Both units are high-quality, so it will simply be a matter of figuring out which one fits better into your RV’s system. 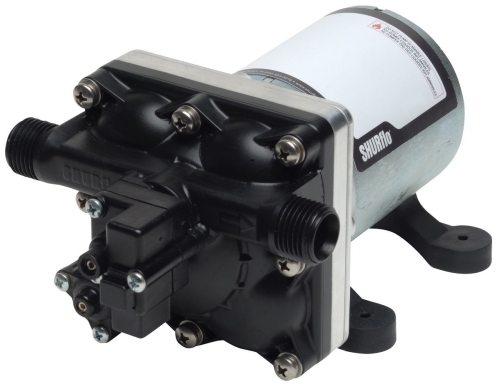 If you want something a bit more robust, however, then the ShurFlo 2088 will be a best RV Water Pump that need more water pumping through. Overall, each of these is sure to deliver ideal results for your rig. It’s good to know that the Shurflo Fresh Water Pump has a three-chamber design. That is actually something someone suggested we get, recently, so we’ve been looking for pumps with that option. I’m still not sure which would work best for our specific home, though, so I’m going to have to talk to a professional and see what they say. Maybe I will show them this blog and see which of the 4 options listed here they would recommend.